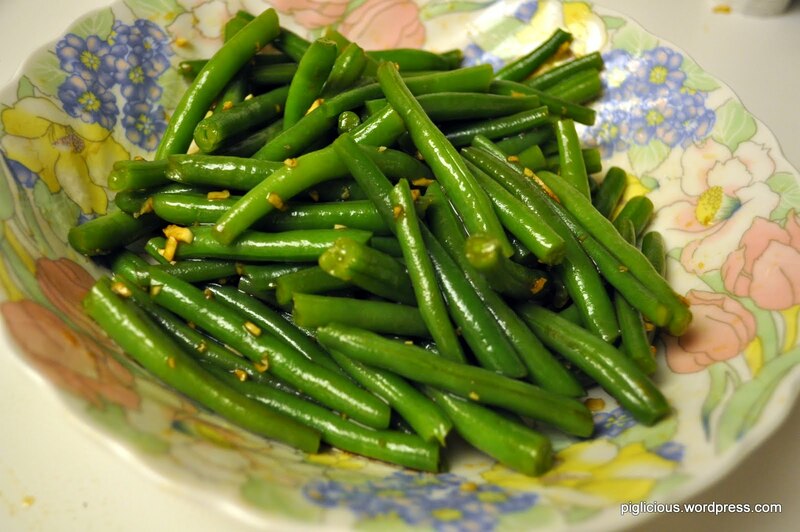 This is not your average boring/bland steamed green beans! 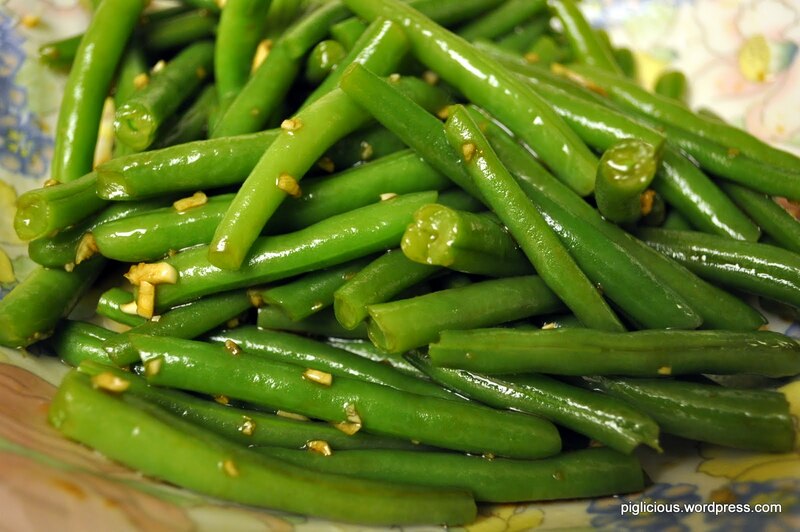 The garlic, soy sauce, and olive oil combination for the sauce makes the green beans extra tasty. Must I also add that it’s quick and easy to make. 1) Clean up the green beans. Snip both ends of each green bean by simply snapping/breaking it off with your hands. 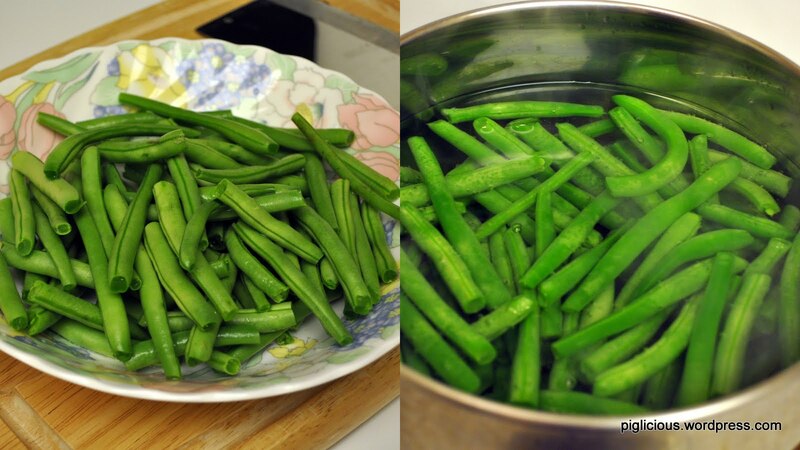 And in the process, break the long green bean into 2 or 3 smaller pieces. 2) Boil them until they become brighter green, or, boil them for ~5 minutes. (If you’re not sure, you can eat one to see if it’s cooked) Drain the hot water immediately. Run cold (filtered) water through, and then drain completely. Let it cool down some more while you prepare the sauce. 3) Chop up the garlic cloves into small pieces (not quite minced). 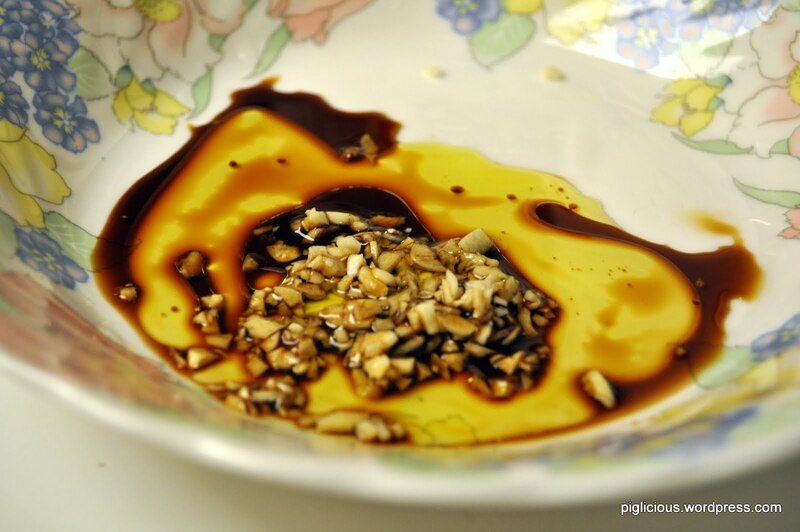 Then add the soy sauce and extra virgin olive oil. 4) Add the green beans and mix thoroughly. For even better taste, wait about 10 minutes before eating for the sauce to seep into the beans.